Thunder rookie Tyler Davis walked into the large open space commons area where he looked up and noticed the words "Make each day... Your Masterpiece" scrawled high near the ceiling. On Monday, Davis joined the kids for tree decoration and yuletide fun at Pivot Inc., a nonprofit community organization supporting youths with resources and housing. With 15 tabletop mini trees ready for ornaments, Davis sat with the girls and boys delivering one-liners and banter while hooking little Santas and orbs to be strung together by tinsel for a holiday masterpiece. 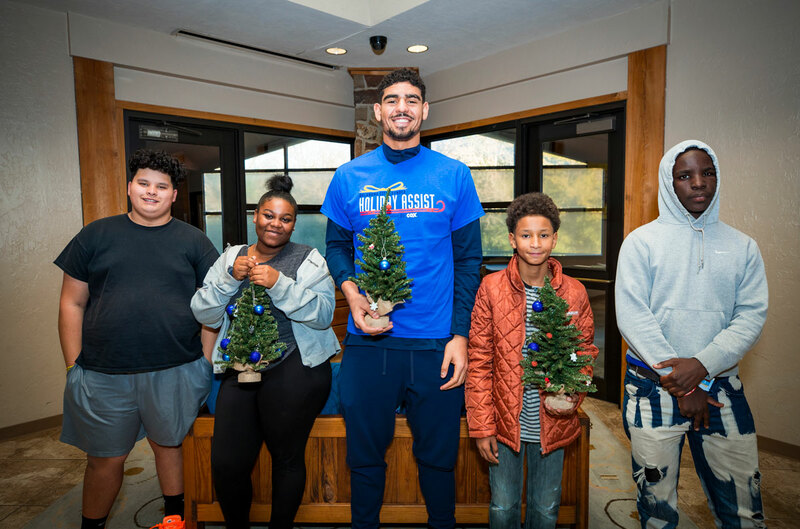 While the day was more than about decorating trees, the time spent was an opportunity for Davis to offer kids a glimpse of a bright future beyond their current circumstances. "You never know when these experiences could be life changing," said Davis. "Sitting right next to them, I might be able to influence them in a positive way."